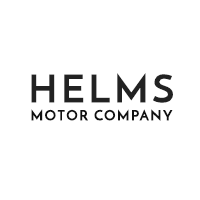 Lexington Chrysler, Dodge, Jeep, Ram Dealer Reviews | Helms Motor Co. I have always had them do my service. They are awesome. Good family business. Have done a lot of business with them in tje last 50 years. “Terry Allen was our sales representative. He was super nice and very helpful. He was very knowledgeable about the vehicle and was able to answer all our questions. The deal was easy going and not a pressure type deal. Johnathon Bingham was our financial representative. He explained everything clearly and was very courteous. Mr. Helm even came by and thanked us for our business. Nice, down home people. Easiest car deal I ever made. “Steve Helms and his crew are some of the most polite and concerned people I have ever dealt with.